Sometimes the grass is greener on the other side of Pennsylvania. Free agent right-hander A.J. Burnett pitched for the Pittsburgh Pirates in 2012 and 2013 before he signed as a free agent with the Philadelphia Phillies prior to last season. After he turned down a $12.75MM option to return to Philly for the 2015 season, Burnett agreed today to a one year, $8.5MM that will have him donning the black and gold of the Pirates next season. Burnett, who will turn 38 in January, made $15MM in a season in which he led the National League in losses with 18. The Phillies struggled as a team in 2014 and with the future not looking bright for the 2015 campagain, it was no shock that Burnett walked away from his option to play for a better team. Burnett had two of his best seasons as a member of the Pirates, who have made the playoffs the last two seasons as a wild card entry. 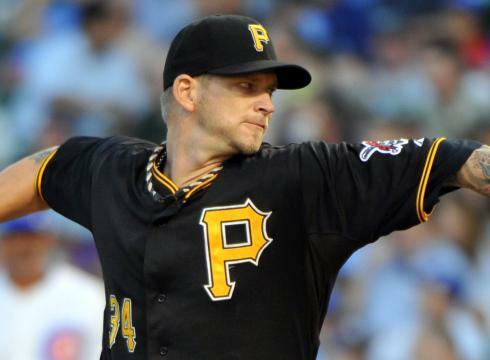 Burnett finished with 16 wins and posted a 3.51 ERA when the Pirates finished four games below .500 in 2012. The lanky righty, who has World Series rings from the 2003 Marlins (injuries limited him to 23 games) and 2009 Yankees, pitched in bad luck the following season, but the team ended a 20-year postseason drought. (The team won the wild card game before they lost to St. Louis in the division series.) The lanky righty finished 10-11 despite a 3.30 ERA and a league best 9.8 K’s per nine innings. 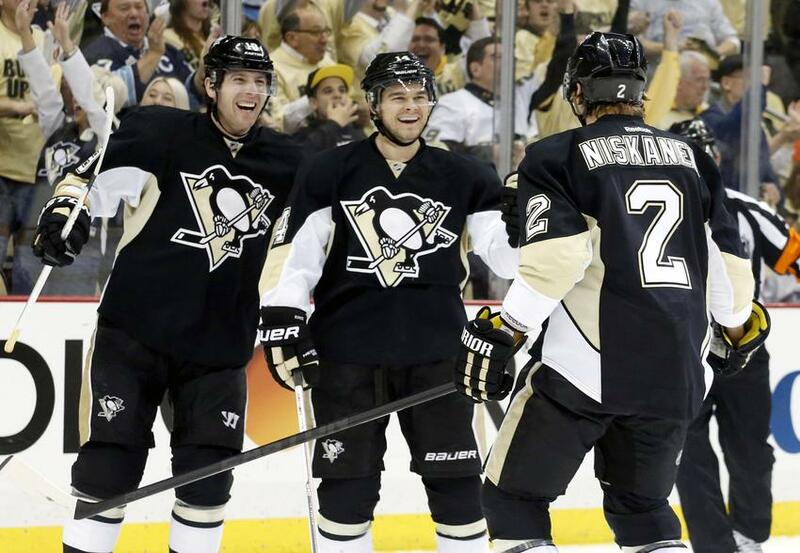 Pittsburgh’s Matt Niskanen QB’ed a powerful Pittsburgh power play in Game 1 vs. Columbus. Mark Letestu had given the Blue Jackets a 2-1 lead after one period with a power play tally of his own. But Blake Comeau took an interference penalty with 16 seconds left the opening period. The Pens’ carry-over PP didn’t start well in the second period thanks to Derek MacKenzie’s breakaway short-handed goal. Columbus was seemingly in control of the game, and then they weren’t. Still on the PP, Matt Niskanen shaved the lead in half with a blast from the right point that was deflected past Sergei Bobrovsky by Beau Bennett. 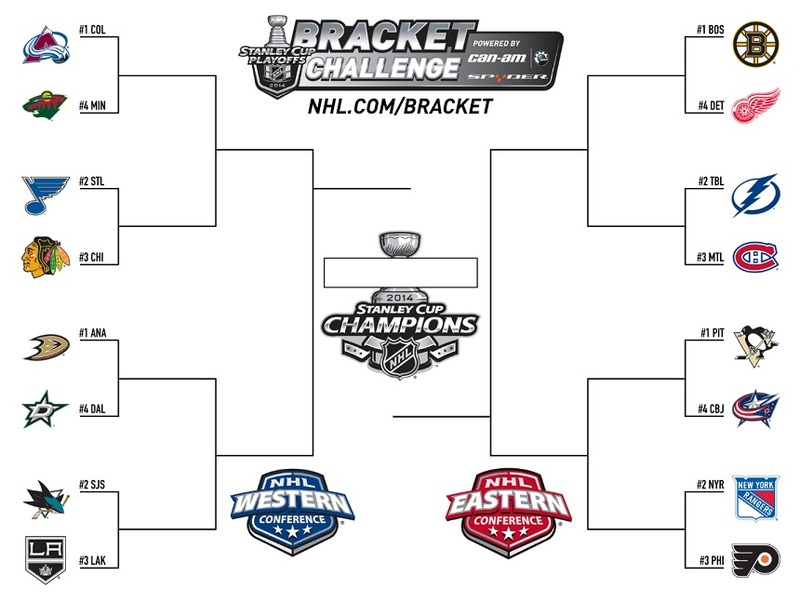 Just 35 seconds, Jack Johnson went off for interference and the Pens were right back on the ice with 5 on 4 advantage. 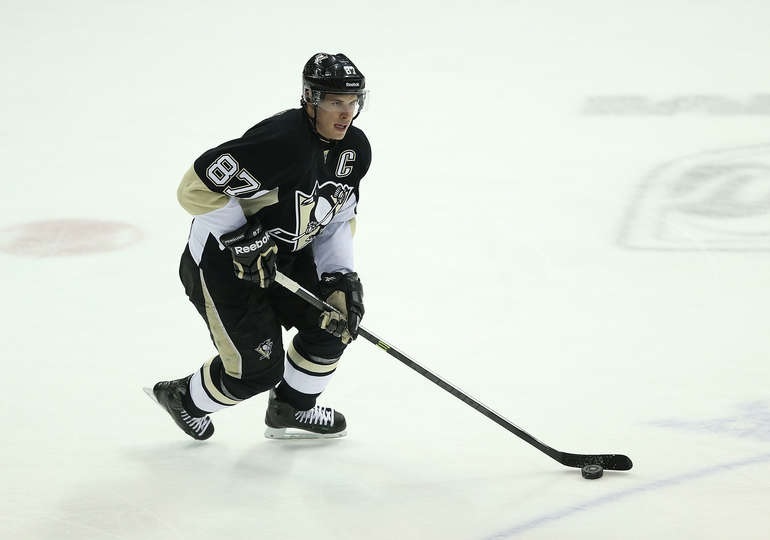 Sidney Crosby sent a pass above the right circle to Evgeni Malkin at the right point. Malkin quickly found Niskanen in the left circle and the Pens’ defenseman whipped a wrist shot into the net to tie the game at three apiece. Meanwhile, Marc-Andre Fleury shut down the Blue Jackets the rest of the way and Brandon Sutter notched the game winner in the third period. A turnover at the Pittsburgh blue line created a two-on-one opportunity with Sutter skating down the right side. With the passing lane to Ray Whitney blocked, Sutter kept the puck and fired it through Bobrosvsky at 8:08, for what proved to be the game-winner. Sidney Crosby was held to one assist, but the Pens have so many weapons, losing Game 1 doesn’t bode well for Columbus. The Blue Jackets will also need to improve on face-offs; the Pens won 56% ot those taken.